As diners we arrive at restaurants, look at the menu and order. The dish is served and with varying degrees of enjoyment, we finish it. 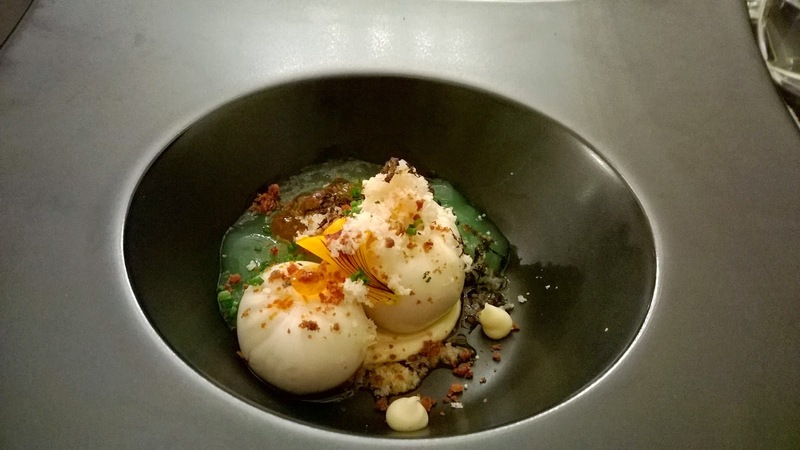 Do we ever reflect on the time that a chef has spent on making the dish? Remember, the finished product is something that the chef would have worked on so long, from a concept, to making it the first time, trying it, revising it and reworking it. At the Timeout Abu Dhabi Young Chef of the Year Awards last night, I got a glimpse of the dedication that drives a chef. 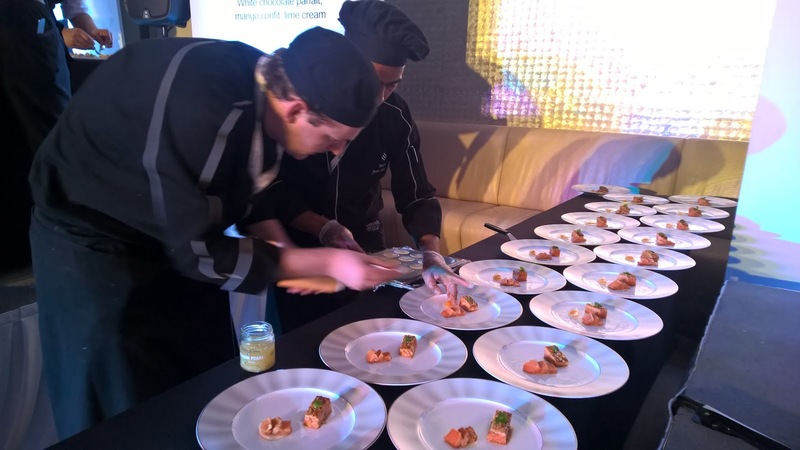 Of course competition cooking is different to restaurant cooking as there is another dynamic at play, but the act of creation is still there. 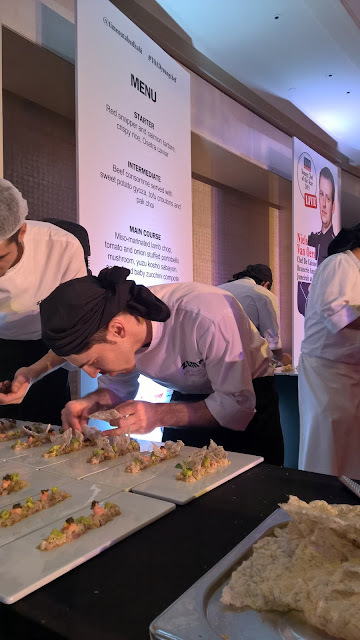 Four of the top young chefs in the city gathered last night at The Westin in Abu Dhabi to allow themselves to be openly scrutinised. 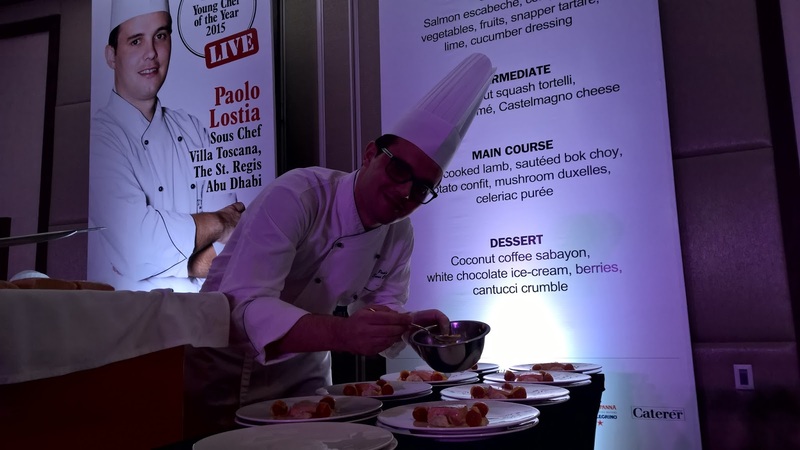 Junior sous chef Arif Emrah Orak from Zuma, Jafet Tellez, Junior sous chef at Asia de Cuba, Niels van Oers, Chef de Cuisine at Brasserie Angelique and Sous chef at Villa Toscana, Paolo Lostia took centre stage and vied for this highly respected accolade. 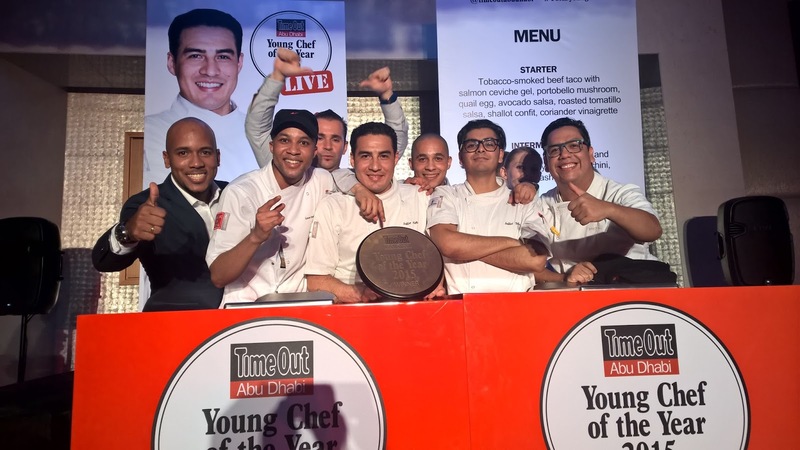 In the end it was Asia De Cuba's Chef Jafet who took home the prize. As fate would have it, I sat at a table where I got to have his four course menu - guests got to try the set menu from one of the chefs on the night. It means of course that other than the 4 main competition judges, none of us had a frame of reference. Of the 4 courses, there were two stand out dishes for me. The importance of a stellar starter is so vital in competitions, and Chef nailed his. 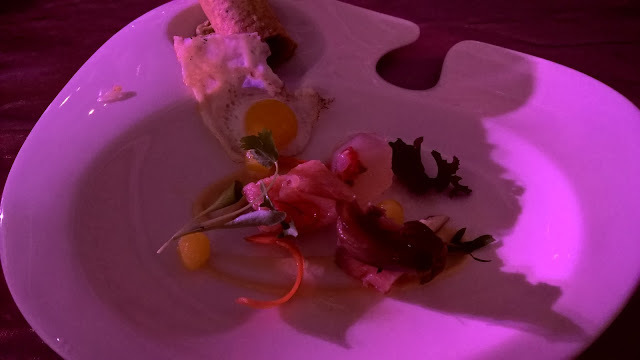 His starter, Tobacco smoked beef taco with salmon ceviche gel, portobello mushroom, quail egg, avocado salsa, roasted tomatillo salsa, shallot confit and coriander vinaigrette drew oohs and has from most people at our table. 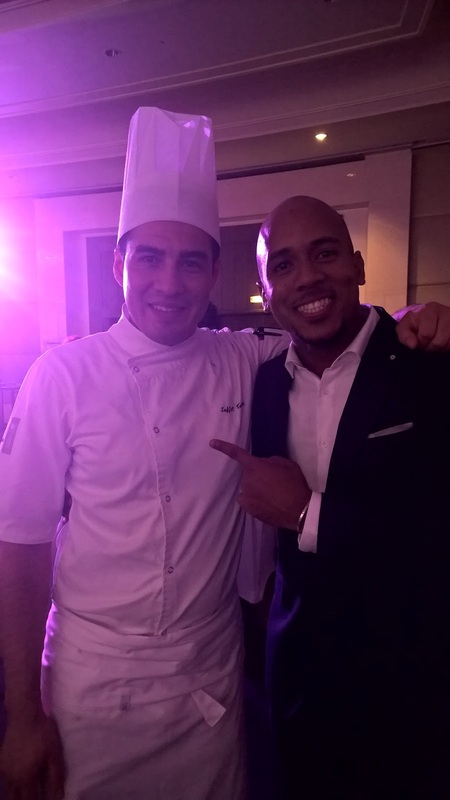 He made fine use of the ingredients given to him, resulting in a such a myriad of flavours and textures. In fact though, it was in this area where he scored highly on my score card for all his dishes. 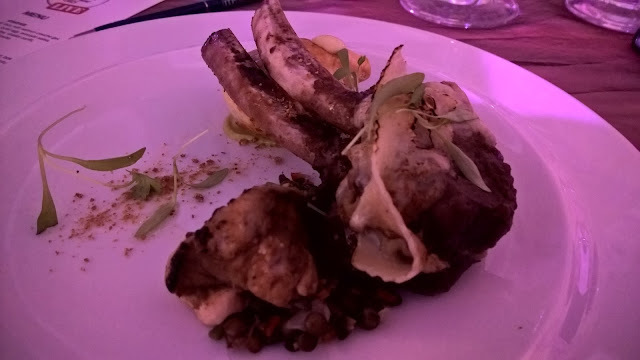 Finally, his main course, Slow cooked lamb rack with chipotle yuzu soy, braised lamb rack with honey chipotle, maduros burrito with jasmine rice and black beans had it all. The key was the beautifully cooked lamb with that mix of flavors from the yuzu soy and honey chipotle in particular that made the dish stand out for me. 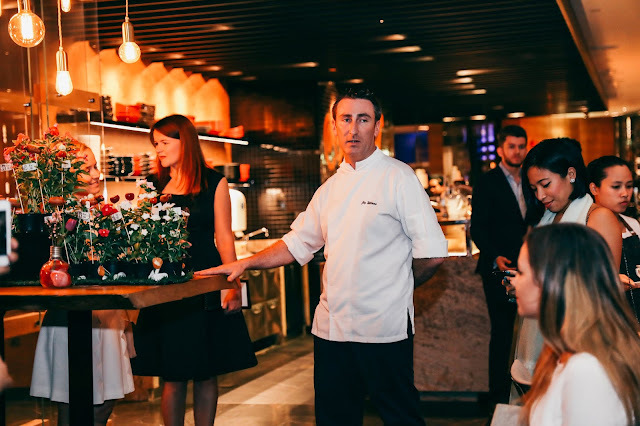 The most endearing image for me from the night was watching the chefs plate up, rallying their support team to find that consistency that makes Competition cooking so tough, while showing no signs of cracking under the pressure as the clock ticked away. It was this that gave me greater respect for the final dish that ended up on my table. Respect. In a highly competitive market as we have in Abu Dhabi, with restaurants vying for a fairly limited pool of guests, it is quite an achievement by these 4 young chefs to have come this far. It is indeed a cliché to say they were all winners, but sometimes I like clichés!